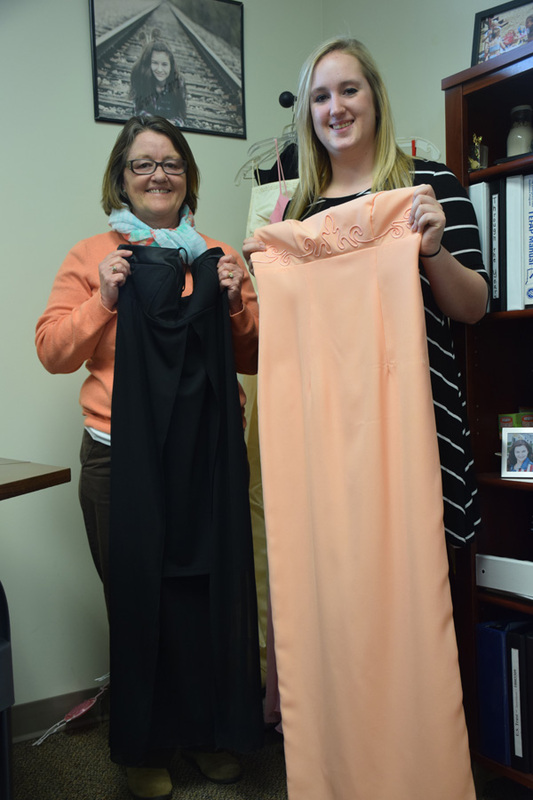 WARSAW — For many young women, prom marks a special turning point in a high school career. It’s a time to pause on school work, sports and community involvement to enjoy one night of being a princess. But for some young women, that night can feel like a far-away version of Cinderella’s tale. High school men, too, can struggle to find the motivation or the funds to afford a night out complete with dance tickets, dinner and the appropriate outfit. One young lady had the courage and initiative to do something to change the stigma of skipping prom, and it is a tradition that has continued for more than nine years. Alexis Light was a Warsaw Community High School student when she paired with friend Katy Cobb to begin the Cinderella-like tradition in 2009. Light’s mother and Combined Community Service director of client assistance, Peggi Lisenbee-Wright, said her daughter came to her in 2009 asking for help. “I told her if she organized it, we would host it here at CCS,” said Wright. The idea blossomed after Light overheard classmates chatting about not being able to afford prom dresses. This year, MegAnn Pearl, a junior at WCHS, has picked up the torch and ran with it, lighting a fire within the community and schools. With the help of Wright and CCS intern Abbie Cuban, Pearl has reached out to schools to explain the Glass Slipper program. With this event, CCS and the community reach out to collect donations of prom dresses, gift certificates from local florists, meal vouchers from local restaurants and vouchers from cosmetologists. Pearl is striving to provide the full package to students who may not be able to do it on their own. “Starting in about February, we get together and start planning; dates that would work the best for the greatest turnout, times the event takes place, and our goal for how many girls we help,” said Pearl. “Once that is determined, we send registration forms to the schools in our county along with fliers and other advertisements like the school news and local newspaper.” These advertising efforts are what bring in the donations, so publicity is key to the event. Pearl is happy to say the program has never had to turn away applications, but the ladies use the forms more as a guideline for getting dresses ready. The forms include info on dress size, school name, date of prom, interest in alterations, meals, cosmetology appointments and contact information. Two weeks before Warsaw’s prom, Pearl and Wright set up the dresses along with snacks and beverages to allow the young women to select dresses and be fitted for the perfect style. This allows time for any possible alterations or last minute changes, plus it adds excitement to a fun time in a high schooler’s life. This year, Pearl and Wright are hoping to add local cosmetologists to the program to volunteer to do hair and makeup at CCS the day of prom. The program also includes women from other school districts, such as Tippecanoe Valley and Wawasee, so the event will need to help makeover girls on several occasions.